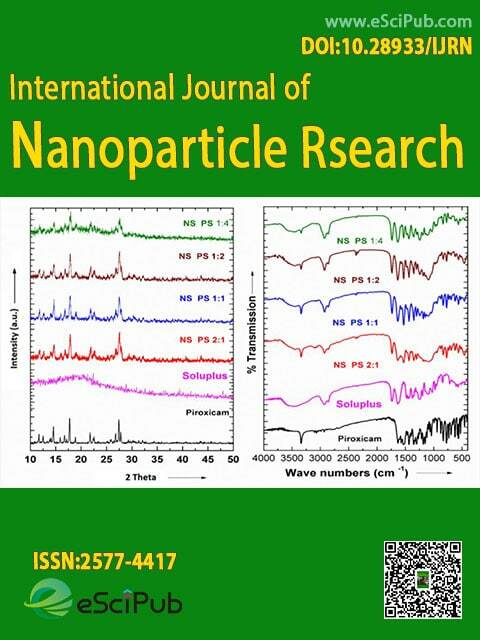 International Journal of Nanoparticle Research(ISSN:2577-4417; DOI:10.28933/IJRN) is a peer reviewed open access journal publishing research manuscripts, review articles, editorials, letters to the editor in Nanoparticle Research. International Journal of Nanoparticle Research (ISSN:2577-4417; DOI:10.28933/IJRN) is a peer reviewed open access journal publishing research manuscripts, review articles, editorials, letters to the editor in Nanoparticle Research. International Journal of Nanoparticle Research (indexing details) is a peer reviewed open access journal publishing research manuscripts, review articles, editorials, letters to the editor in Nanoparticle Research. Please submit your manuscript by the form below or at submit_manuscript@escipub.com (use "International Journal of Nanoparticle Research" as the email subject line).